Having a consistent approach to investors is key to your start-up funding efforts. While you can approach this task in a hap-hazard way and still get results, it’s not the best way. Don’t let your funding success depend on pure luck. Developing a robust strategy to your investor communication is key to gaining control in this often time-consuming and frustrating fundraising process. Consistency is the name of the game with Investor Communication. It’s about getting them on-board early, before you even begin looking for investment if possible. When an investor knows about your company, your struggles and your wins it helps them understand on a deeper level what the company is all about. Create dedicated email address or alias specifically for investors to use when inquiring about your company. Ensure this email is diligently checked and managed as part of the execution process (see Individual Investor Follow-up below). Making the investors life easy when dealing with your company should be a primary goal. One way to do this is through signatures automation. As a bonus, it gives you the ability to manage critical outgoing communication through one platform. Having digital access to all of your documents will minimize the amount of paper work, retrieval, and potential loss of documents. There are a variety of services available to help you do this. In the beginning a simple electronic signature platform will probably do well. You will be talking to ALOT of people and over time it will get increasingly difficult to remember who they are, when you talked last, and when you need to follow up. Consider some kind of CRM system to track your investors. You’ll need a tool that links investor contacts to all outgoing communication so you can easily see all pertinent information in one place is ideal. Some of these systems will even record calls and allow outbound communication. The best allow integration between all marketing efforts and lists that you’ve built. These are ideal because metrics can be captured to give your outbound communication team more insight into what is working and what’s not. The main goal is to get all of your outbound communications sent, tracked, measured, and then optimized based on click-through feedback and additional performance metrics. An email you sent wasn’t opened by anyone? Why? Test a new email subject line or opener and see if the open rate changes. To effectively manage your investor outreach process, start with blocking dedicated working and engagement time on your calendar. Designate consistent times every week where you accomplish the following activities. This is important outreach that allows you to keep in touch with investors based on providing meaningful and valuable interaction. The key is these touch-points need to be meaningful and valuable. Always personalize these emails, talk about the key recommendations they made when you spoke and how you have incorporated them into your pitch deck or business model. Give insight into special announcements or new developments with the product, etc. Reach out to your network and ask for introductions to investors they know or are connected with. Investors see a ridiculous amount of pitch decks a day, and the ones that come with a good word from someone they know and trust have a higher chance of standing out. So, leveraging your network to make a warm introduction is extremely valuable. Bonus: If you’re using a CRM system to track you investors, use this tool to track the communications with your network. Never lose another connection to the forgetfulness of your contacts. Remind them to intro you to the people they said they would. Spend time identifying the investors in your area who have invested in similar businesses. Know who they are and what investor groups they belong to. Ask investors and mentors who you’ve already been connected with for connections to specific people you’ve identified might be interested in the deal. Where you don’t have a connection, try cold calling. Though this should not be a major portion of your strategy due to it’s low success rate. Your pitch deck is a critical piece of collateral that you need in the fund raising process. Almost all investors will ask you for your pitch deck at some point during your conversations.  Pitch decks can be sent as highly information visual documents attached to your investor emails, or they can be pitched live to investors remotely or in person. You need to make sure that your pitch (1) tells the story of your company (2) in a way that is compelling to your potential investors and (3) is a professional and visually appealing deck. If you pitch is not well put together, it is a sign to potential investors that your company may not be well put together either. Send this out every two weeks or at least monthly basis. Make it consistent. You can include new achievements like progress to milestones, MVP, new team members, pitch competition wins. You can also run content by them to get feedback and initial user experience improvement items. Although admittedly not as fun, “No” can be pretty powerful. Especially when followed up with “Why?”. Knowing what is behind the no your told is key to understanding how investors are perceiving you, your company, or your product’s potential. Every interaction is a chance to learn and while investment dollars are valuable, so is the feedback that can bring you closer to securing those dollars. The answer you receive may help you fine-tune your message, change important aspects of your company (like your business model) and target more aligned investors moving forward. We’ve even seen people re-win deals after asking “Why” and uncovering the underlying communication barrier or misunderstanding. In either case, let go of the initial ego bruise and trying to learn from the “No’s” just as much as from “Yes’s”. The knowledge you get from this openness will help you hold on to your Yes Investors for longer.